Forensics officers are at the scene of a suspected shooting in Leeds. Paramedics raised the alarm yesterday(Sept 4) after they were called to an address in Middleton to help a man with serious injuries. The 47-year-old man was taken to hospital for treatment to a suspected gunshot wound to the abdomen. A police spokesman today said his injuries were not believed to be life threatening. The ambulance service was called at 9.43am on Sunday, but the victim was actually injured the previous night. 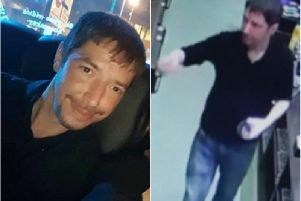 Detective Chief Inspector Nicola Bryar, of West Yorkshire Police Homicide and Major Enquiry Team, said: “The victim had been walking along Thorpe Street in company with another man when the incident occurred at the junction with Acre Road between 9.45pm and 10pm on Saturday night. “We are conducting extensive enquiries to establish the full circumstances surrounding this incident and would like to hear from anyone who witnessed the incident or saw anything suspicious in the time leading up to it. A crime scene has been established at the junction of Acre Road and Thorpe Street and forensic examination is taking place. Anyone with information is asked to contact the Homicide and Major Enquiry Team, via 101 quoting log number 476 of September 4. Information can also be passed to the independent charity Crimestoppers anonymously on 0800 555 111.